Published on June 14, 2016. 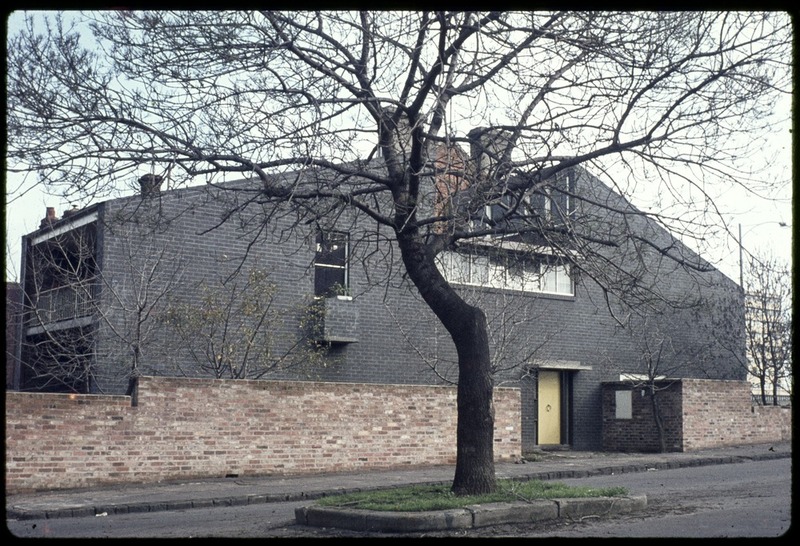 The Trust has objected to proposed additions to a 1960’s Brutalist house in Parkville, known by the Trust as Saunders House. Here is a copy of the National Trust Classification Report (May 2010), and here is a link to the City of Melbourne website where you can view details of the permit application and download a copy of the proposed plans. While the property is included in the South Parkville heritage overlay precinct H04, Saunders House has no specific grading. 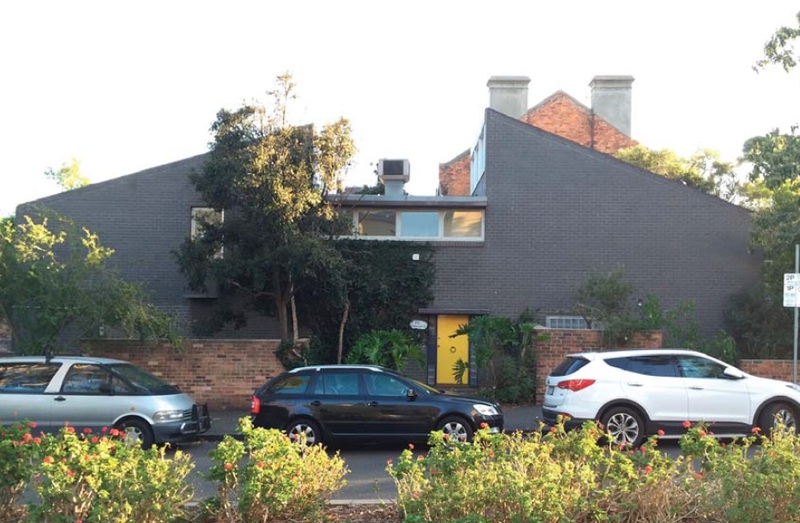 The Trust believes the protection afforded by this HO, a predominately nineteenth-century terrace house precinct, does not take into consideration the significance of the property as an architecturally innovative and unique 1960’s Brutalist-inspired house, designed by a significant figure in the discipline of architectural history in Australia, David Saunders. While the Trust nominated Saunders House to the Victorian Heritage Register in 2010, recognising the State Level Significance of the House, this nomination remains unassessed (as of the 14th of June 2016). The Trust has been in contact with Heritage Victoria to indicate the urgency in determining the outcome of this nomination. The Trust believes Saunders House to be historically and architecturally significant at the State Level. The contribution of architect/owner David Saunders to the architectural discourse in Australia was substantial. Saunders was a lecturer in architecture at the University of Melbourne, and was one of the first academics in Victoria to actively research and appreciate nineteenth-century architecture in Australia during the post war years. Architecturally, Saunders House is one of the earliest expressions of the principles of the relatively new English ‘brutalist’ movement in Australia. The design also references the historic architectural forms and materials suitable to a nineteenth-century Melbourne terrace house context. Click here for a fascinating 1967 appraisal of the house and its innovative design by Australian Women’s Weekly (source: TROVE). While the proposed additions may seem to be relatively minor, the Trust would argue that they have an unacceptable impact on the heritage significance of the property. In short, the Trust believes the addition of the curved white masonry wall will detract from the form and appearance of the Morrah Street facade which prominently reflects Brutalist influences, dominating and partially obscuring the symmetry and softening the angularity of the original design. To read the Trust’s objection in full, our letter can be accessed here. Just as Saunders was uncovering and advocating the significance of nineteenth-century architecture in the 1960s, so to must we today begin to understand the significance of postwar architecture, and afford it a level of protection accordingly. 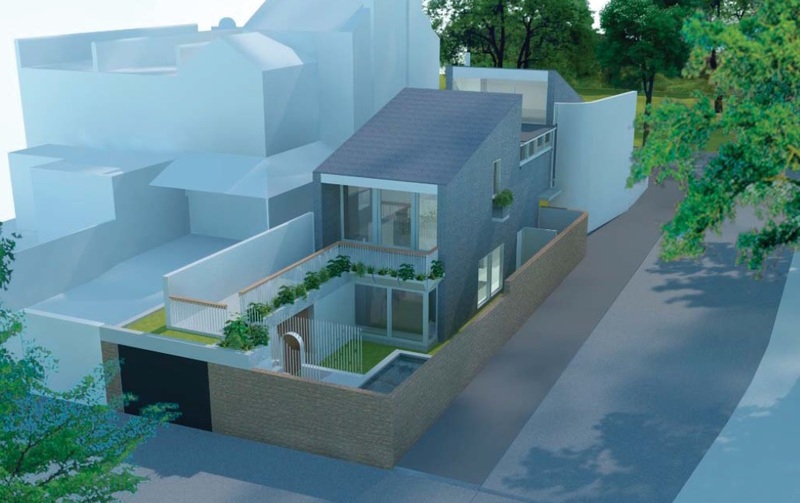 A more recent photograph of Saunders House (2009) juxtaposed against an artist impression of how the additions will look (Kennedy Nolan Architects, 2016).